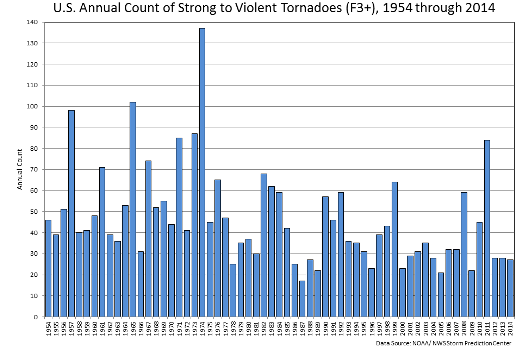 We’ve been told that with the increased warming (which stopped in the late 90s, which is when the trends begin to fall) we should expect increased extreme weather events such as tornadoes, hurricanes, and tropical storms. In reality, we’ve been seeing downward trends even though levels of CO2 have increased. Oops. « Should abortion be illegal? Isn’t it amazing how facts usually destroy the arguments from the Left?